Our story took place in the summer of 1891, in the town of Fitchburg, Massachusetts. The school year was coming to a close and it was getting hot. So, what did 14 year-old Daniel Healey do? He came to school wearing shorts (though they didn’t call them that back then) and, horrors, barefooted. And the teacher sent him home. 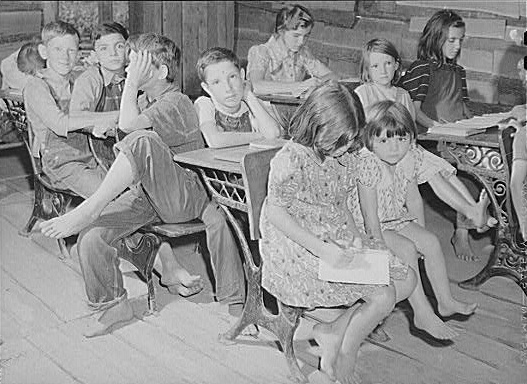 Keep in mind that, in much of the rest of the country, a lot of kids went barefoot a lot, including to school. Or another from Pocahontas County, West Virginia in 1921. And here’s one from Greene County, Ohio, in 1910. But this story about banning bare feet is from 1891. Because Massachusetts. THE ISSUE OF BARE FEET. The decision of a Litchburg, Mass., school teacher that a barefoot boy is an offense against modesty, has occasioned widespread and for the most part very unfavorable comment , all of which, it now appears, has been based upon an erroneous assumption. Details are at hand of a special meeting of the Litchburg board of education called to consider an appeal taken from the teacher’s decision by the boy’s father. This gentleman contended that it was his inalienable right as an American citizen, to send his son to school barefooted. He instanced the memorable cases of Webster, Lincoln and Garfield in support of his proposition, and denied that public sentiment was changing in respect to this matter. For her part, the teacher admitted that she had sent the boy home and laid it down as a rule that she would allow no pupil to come to school in that condition, as it was highly indecent. The boy was not only barefooted, she said, but also barelegged, his trousers coming down only to the knee. 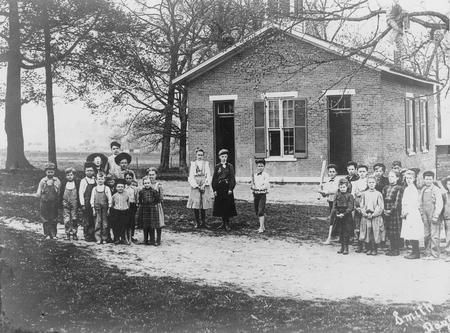 This statement put the matter in an entirely different light, and the members of the board of education, who up to this point had unanimously manifested strong leanings towards the father, were now divided, some espousing the cause of the teacher and some that of the father with a warmth and energy that threatened permanently to disrupt their harmonious relations. One member declared that the teacher had as much right to establish a rule that children should be clothed as to their feet and legs as to insist that they should come to school with clean faces. Any discrimination between the sexes in regard to feet and legs was grossly unjust and improper. These views were vigorously combatted by two other gentlemen, each of whom, speaking from personal experience, dilated upon the joys of untrammeled feet and legs during the summer months. They did not believe that by appearing thus in their childhood days they had exerted any immoral influence upon the community. They admitted that the line should somewhere, but they thought nobody but the veriest prude would offer the slightest objection if it was drawn at the knee. If a congressman of the United States, like the Hon. Mr. Simpson of Kansas, saw fit to remove his footgear in public, that would be another matter. But for a fourteen year-old boy, it was all right and the public could not be convinced to the contrary. After long and unsatisfactory discussion, the subject was referred to a committee with power, and this committee, it appears, has sustained the teacher. We believe that the matter will not be allowed to rest here. This has been a country of barefooted boys, and has ever gloried in the fact that the brown, bare and sturdy little legs, when fully developed, have carried it to its present state of progress. Bare feet and legs will almost certainly be an issue at the next municipal election in Fitchburg, and we are betting that they will win. Did you catch that? Bare feet and bare legs were indecent. Looking around, I found the article that started all this in the Fitchburg Sentinal, which reported on the school meeting with a straight face. A special meeting of the school board was held on Monday evening, Mayor Groves in the chair. The full board were present. Michael Healey was given a hearing on an alleged grievance, he claiming that his son was driven out of the public schools for appearing at school “barefoote and bare-legged.” The father stated that when a boy he had often been to school at Worcester, barefoot, and he would like to go barefoot himself on such hot days as there were last week. Mr. Healey related that he visited the teacher (Miss Hosmer) and was told that his son must not appear in school barefoot. He then sought Supt. Edgerly, but was told that he must settle the matter with the teacher. Mr. Healey claimed the right as a citizen and tax-payer that he be allowed to send his son to school bootless and shoeless. Rev. F. O. Hall stated that he had seen the teacher and learned from her that several boys appeared in school barefoot and dressed in short trousers and they were not decently clothed; the teacher therefore made a rule forbidding pupils to come to school barefoot. Mr. Henry stated that when the teacher made the rule the boy had shoes and stockings on his feet and took them off leter. Mr. Gallagher spoke in favor of having proper rules sustained. Mayor Graves said that it made quite a difference in this case that the boy had shoes and stockings, but he thought it quite a sweeping rule to require all the pupils to wear shoes and stockings. He related one or two instances of children, whose parents are poor, attending school barefooted. Mr. Hall reminded the Mayor that this is not a primary school. 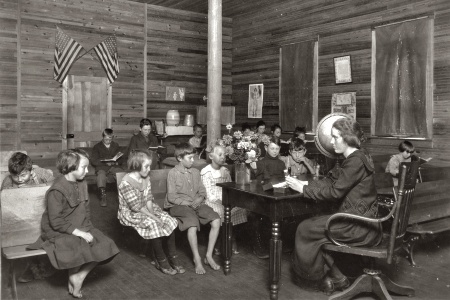 Mr. Macy said he would not like to interfere with the discipline of the school, and spoke of Miss Hosner as an excellent teacher but he would like to get around the difficulty in some way, so the boys could go to school barefooted. Mr. Brazier said that Mr. Healey had worked for him three years and he spoke well of him. The speaker went to school barefoot when a boy. Mr. White believed in sustaining the teacher, but he thought she had exceeded her authority in establishing this rule. Mr. Putnam moved to refer the subject to the visiting committee of the school and superintendent with full power. Mr. Macy thought the board should settle the matter. Mr. Gallagher objected to compelling small boys to wear long pants. Mr. Smith said he should object to girls going barefooted and what was wrong for a girl was wrong for a boy. Mr. Putnam’s motion was carried unanimously. I love it. It’s not so much that a barefooted boy was indecent, it was that they were all for equality of the sexes, and a barefooted girl was indecent! So they had to ban both. Finally, here’s one more story, from a Vermont newspaper. It looks like they invented snark. An astonishing lack of affairs important, whether political or otherwise, no less than a present torridity of atmosphere which relieves us of any fretting desire to dig into abstruse themes, is our excuse this week for sympathizing with Miss Hosmer of Fitchburg, Mass. And we are the more ready to “lay ourselves out” in this regard because Miss Hosmer has, up to date, found sympathy a mighty rare plant, and unless we fill the breach in our own weak way there will be no exception to the rule. Miss Hosmer is a school teacher with a high, perhaps severe, grade of moral ideas which have been rudely shaken and sadly mashed. She numbered among her pupils one lad, Johnny by front handle, who as the warm weather advanced and strawberries receded, laid his boyish plans for the regular barefoot campaign, and on one sunny morning big with adverse fate for the idealistic trend of Miss Hosmer’s thought, entered the school room sans shoes, sans stockings, and in abbreviated trousers, discontinued at the knees. Miss Hosmer was at first dazed, but after a reinforced view through her spectacles reached an unhappy though a firm conclusion. Bare feet! Bare legs! And in her school room? Perish the thought. The boy was promptly sent home. Folks came to see about it. Argument. Miss Hosmer pale but firm in her ultimatum. Shoes and stockings or no school. Parents equally stubborn in asserting their so-called rights. Boy jubilant and eloquent, his opinion being “Darn shoes in hot weather, anyhow. Darn school, too.” Boy expelled. The board of school authority, five in number, were called together and gravely deliberated, and lamentable as it may seem, the fact remains that of those five, but one stood by the teacher. Miss Hosmer found only in the person of the Rev. Sanctimonious Swan, a tower of strength. He agreed with her that such exposure was monstrous. But they were overruled and outvoted by the other four who had possibly felt the joys of a stone-bruise or a sore toe in their day. The high cause of morality wavered and died out so far as it related to shoes and stockings. Johnny was returned with honors, and to-day flaunts his bare feet before the humid eyes of the modest world. Hence, Miss Hosmer has our sympathy, deep as an artesian well, and much comfort may it bring her. And thus we see how it started. If she’d been allowed to go barefoot when she was young, she would have probably sympathized. But if she had to suffer, then why not the boys in her class, too? This is what happens when you allow the oppression of anybody. It spreads like contagion. Thanks for digging this out. What a silly, lengthy affair on such an insignificant issue. From part of the first article it seems that bare knees were seen as even more of an affront than bare feet. Both appear silly to me as short sleeves and legs with bare feet seem to be the most practical summer attire, especially at a young age. I also remember seeing pictures from the same timeframe, I think from England, where school children up to a certain age wore shorts – not just in summer but all around the year! In winter combined with warm jackets and kneesocks, their knees were the only part of their lower bodies exposed to the frost. Shows again how random the standards of “decency” are, really. Welcome to the 21st century. Silly dress codes are still a thing. As are racial differences, religious discrimination and so many more things we used to think we had left behind us since long at this point. As I grow up, and I’m now in my mid-40s, I learned that some things are much harder to shake off as a society than anyone dares to believe. I concur with this sentence from the last newspaper excerpt: “An astonishing lack of affairs important”. I guess they already had slow news days in 1891. Unfortunately, “concerned teachers” busy with the outward appearence of their students can even be found in the 21st century. As I read the story, it was a lot more than just bare feet that led to the psych eval. Bare feet are the only thing visible from a distance. From the article: she showed “looking disheveled” in a bar, after having been reported as “swinging wildly” at her kids. She also got into a fight with her nanny. And the kids were in pajamas. By the way, you all have to see these pictures of natural bare feet that have probably never worn shoes! It is remarkable that the boy’s father stood up for the boy’s right to be barefoot. Those were the days!